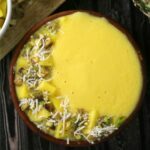 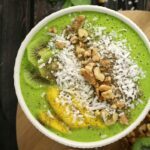 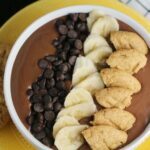 Mango Banana Smoothie Bowl - Frugal Mom Eh! 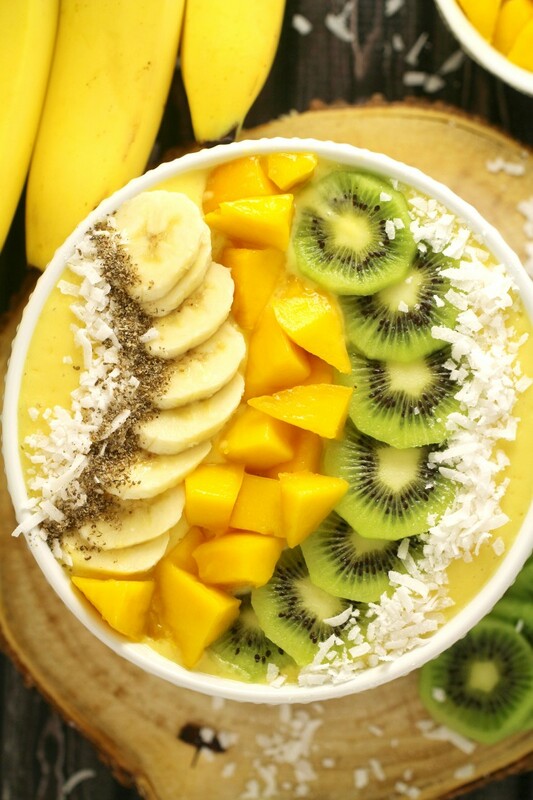 This Mango Banana Smoothie Bowl is a great choice for breakfast with the mellow sweetness of bananas and mango combined with orange juice for an irresistibly fresh bowl. 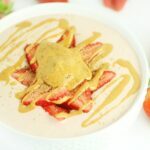 I like to use Skyr in my breakfast bowls because it adds creaminess and a load of protein but any plain yogurt will work just fine. 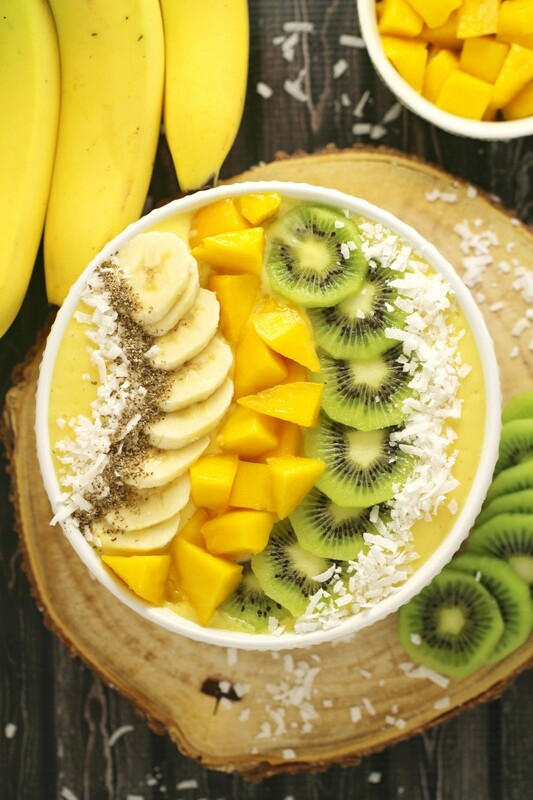 In a blender, combine yogurt, orange juice, mango, and banana until smooth. 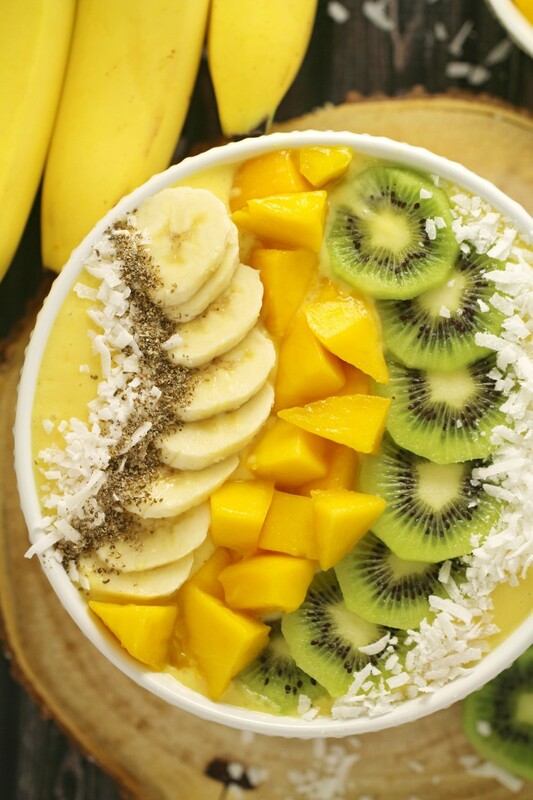 Pour the smoothie into a bowl and top with chia seeds, coconut flakes, kiwi, mango and banana.